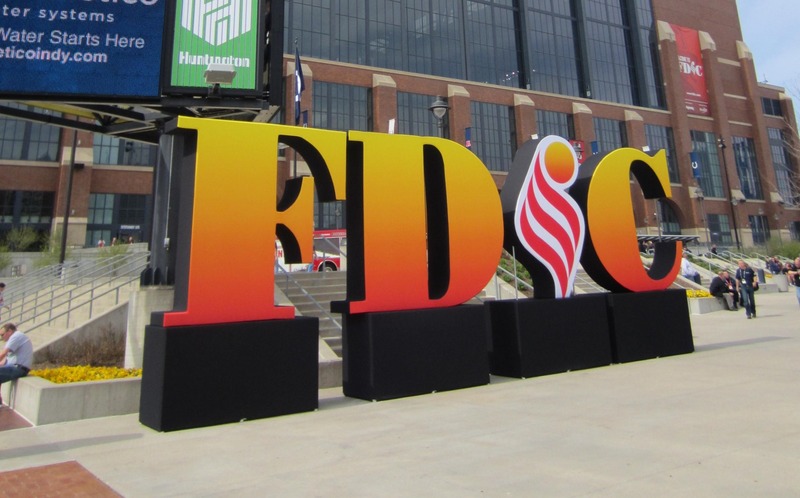 Which is ultimately the reason I really look forward to going to Indy every April for the Fire Department Instructors’ Conference or FDIC. Indy makes coming to the largest annual Fire Show in the world feel like going home for the weekend. It may be what attracts thousands of thought leaders, instructors, and speakers from near and far on all things emergency management and Fire. This year Tablet Command was lucky enough to be hosted by our friends at Esri, the world’s leading mapping software company. And we were quite happy to share the Esri booth with friends from Intterra and TriTech, some of the leading CAD providers. The fire service is still very slow to implement new technologies. Of course this stems from the layers of political and bureaucratic complexity we all know about. But too, fire department decision makers are still recovering from economic hardships stemming from the Great Recession. It is imperative that vendors make products where integration is frictionless. The debate over open source is over. Vendors must strive to create whole solutions. Delivering the whole solution reduces risk for the purchaser by ensuring that the shiny thing they want doesn’t prove to be bait with a hook in it! All-in-one platforms also reduce friction for decision-making. Fire Chiefs are pressed for time and hate writing multiple checks. Active shooters and response to lone-wolf terrorist events. As these become more frequent and occur at random, ORGANIZING INFORMATION and ORGANIZED RESPONSE with multiple diverse agencies being on the same page is critical. The fire service should and could take the lead on this by using FIRESCOPE (California), Fire Command (Brunacini) and ICS principles. Emphasis on hotter and faster fires in the structural world and the toll and physical strain it is putting on resources and individuals. Firefighter fitness. Our best opportunity to reduce line of duty deaths is through prevention of sudden cardiac arrest. 555 Fitness as great WOD’s!. Emphasis on rehab. Do we take it seriously or do we try to tough it out because it’s culturally engrained? Mental Health: Firefighter Suicide Prevention and CISM/PTSD mitigation. These were some of the big-ticket items that were talked about at FDIC 2016. The FDIC recharges batteries and challenges attendees to go back to their agencies and make a difference by moving the ball forward. Maybe in this next year, all of us can set a goal for a few first downs. What I’m learning is that touchdowns are hard earned but worth it, but our culture challenges us to a pace that may be slower than expectations. We will send you an email when a new entry is posted.